BROWNSVILLE — Before International Educational Services made headlines after it laid off hundreds of employees when the federal agency that funded it cut off its grants, the nonprofit was involved in a high-profile abortion case involving Supreme Court Justice Brett Kavanaugh. The nonprofit, which formed in 1985, aimed to provide physical and educational care for unaccompanied migrant children entrusted to it by immigration officials who detained them. 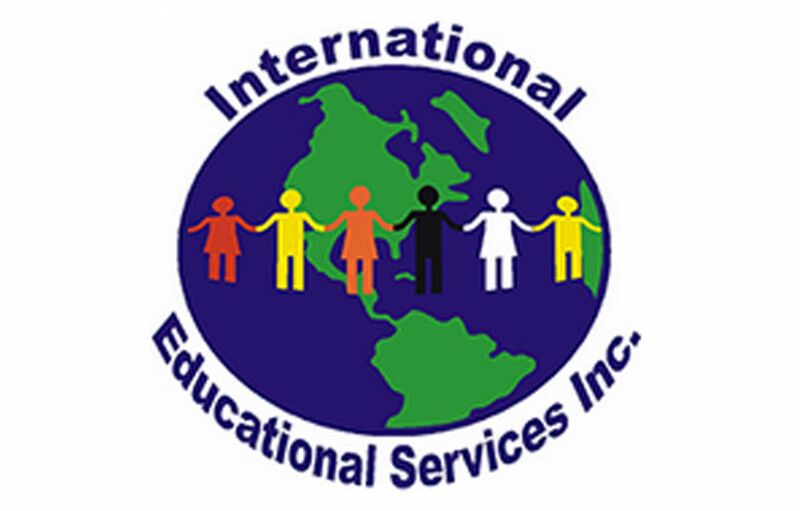 However, on March 31, IES closed after the Office of Refugee Resettlement, Administration for Children & Families, declined to renew its grant funding after determining that family members employed at IES profited when IES leased properties they owned and executives at the nonprofit paid themselves salaries that were hundreds of thousands of dollars more than allowed, among other failures, according to a letter the federal agency sent to IES informing it of its decision. Neither IES nor the ORR publicly explained why the grant funding was not renewed until The Brownsville Herald obtained that letter in late September through a Freedom of Information Act request that revealed a damaging audit conducted by the Office of the Inspector General, a government agency that serves as an internal watchdog. But before all that occurred and became public, IES housed a pregnant 17-year-old undocumented immigrant who fled Central America after alleged physical abuse at the hands of her parents, arriving in the United States in September 2017, who sought an abortion. “Jane immediately knew she did not wish to proceed with the pregnancy and expressed her wish to terminate her pregnancy to facility staff,” attorney Rochelle Garza, who represented the girl as a court-appointed guardian, said in written testimony submitted to United States Senate Committee on the Judiciary for a hearing on the nomination of Kavanaugh to the Supreme Court in September, a year from when Doe first arrived in the Rio Grande Valley. Doe was seeking judicial bypass, which would allow the teenager to terminate her pregnancy without parental consent, as required by Texas law. After the appointment, in late September 2017, Susan Hays, legal counsel for Jane’s Due Process, a nonprofit that works to ensure pregnant minors in Texas have legal representation as they make their decisions, contacted Garza to let her know that the organization had been assisting Doe. “What followed over the next month was a surprising twist of events that I would never have imagined,” Garza said. After Doe told staff at IES that she wanted an abortion, the nonprofit was legally required to inform the ORR. Garza said that treatment included a new policy developed by ORR Director Scott Lloyd, who signed the letter sent to IES informing it that the nonprofit’s grant funding would not be renewed because of substantial failures to adhere to the grants rules. According to Garza, Lloyd directed the facility to force Doe to undergo “life affirming” pregnancy counseling at a religiously affiliated pregnancy crisis center in opposition to her wishes. However, on Sept. 25, 2017, despite an ORR representative attempting to represent Doe during her judicial bypass proceeding in the face of Garza’s representation, a judge granted Doe the ability to have an abortion without the consent of her parents or the ORR, according to the attorney’s testimony. “When I tried to arrange for the facility to transport Jane to the clinic, however, I was surprised to find that the Department of Justice had stepped in, taking over communications for ORR and the facility,” Garza wrote. According to Garza, Doe was completely at the mercy of the facility and ORR and was explicitly prevented from accessing abortion. Garza said during testimony that staff also forced her to view additional sonograms in order to shame and pressure her to change her mind. What followed next was a high-profile legal battle waged by the American Civil Liberties Union on behalf of Doe that sought an injunction preventing the ORR from banning abortion for all pregnant minors detained like Doe. Initially, a federal district court granted a temporary restraining order against the ORR, but the government appealed and a three-judge panel on the U.S. Court of Appeals for the D.C. Circuit that included Kavanaugh considered the appeal. Kavanaugh issued the order despite the ORR already failing to find a sponsor for Doe over the previous six weeks, according to Garza. This could have taken weeks. “And because Texas bans abortion at 20 weeks, it presented a real danger that Jane may be forced to carry the pregnancy to term against her will,” Garza testified. The ruling made the teenager feel desperate, hopeless and alone, Garza wrote. Following Kavanaugh’s ruling, the ACLU asked a full appeals court to overturn that decision and it did. “Jane obtained the abortion on October 25 when she was 15 weeks pregnant,” Garza wrote. While the ORR and Garza began battling over Doe’s request for an abortion during the month of September in 2017, the Office of the Inspector General simultaneously concluded an audit it initiated into IES that began in June 2016. That audit revealed a series of failures, according to the OIG. “In September 2017, the OIG identified to ACF findings that included less than arms-length agreements related to property leases, violation of executive compensation levels, non-compliance with conflict of interest requirements and procurement procedures, and numerous examples of substantial failures of IES failing to comply with regulations governing allowable costs under (Health and Human Services) awards,” the letter from the ACF to IES stated. Starting on Nov. 2, just one week after Doe obtained an abortion, the federal government placed IES on costs reimbursement restrictions due to concerns about the organization’s lack of effective control over, and accountability for federal funds, property and other federal assets, according to the letter. On Feb. 21, the letter signed by Lloyd, the ORR director, arrived at IES informing it that it would no longer receive nine grants to provide services for unaccompanied immigrant children. A little more than a month later, IES terminated all of its employees and closed. However, as 2018 progressed, IES faded into the background after President Donald Trump announced his administration’s zero-tolerance policy for immigration prosecutions that resulted in the separation of more than 2,000 children from their parents. Scores of national media outlets descended on Brownsville and the Rio Grande Valley to report on the separations. Politicians from all over the country also visited Brownsville and McAllen to tour facilities where minors were held. Hundreds of protestors even gathered in front of the federal courthouse in Brownsville to denounce to policy. All the while, IES and the ORR remained silent on why it closed its doors. Ruben Gallegos Jr., IES’ chief operating officer, said in a brief interview recently that he couldn’t comment on the audit’s findings because IES is in negotiations with the ORR.